Writing is the use of visual symbols which act as a code for communication between individuals or groups. Writing and speech are the two main language varieties. Writing and speech should usefully be regarded as two entirely separate systems. Writing has to be acquired as a skill in the same way as driving, sewing and cooking are learnt. Speech is acquired by means of innate programming, in the same way as we grow taller or acquire a second set of teeth. The code of written language consists of letter-forms [the alphabet] used to form a visual approximation of spoken words. These words are formed in accordance with the conventions of spelling, then combined using the rules of grammar and syntax to form meaningful statements. Writing is a code or a set of symbols which serve to produce material forms of communication. Writing can be preserved indefinitely, whereas speech is transient unless it is deliberately recorded. Writing is usually a solitary act of communication, whereas speech is a social act. Writing expects a delay in reply, whereas speech usually solicits an immediate response. Writing does not contain non-verbal gesture, whereas speech employs non-verbal gesture constantly. Writing is often drafted, so that the audience receives an edited version. With speech, the audience hears the first attempt with all its faulty starts, hesitations, contradictions and corrections. Writing is pre-planned, whereas speech is usually spontaneous. Writing and speech have discrete functions in society. 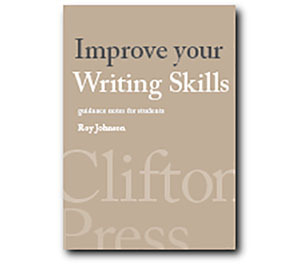 Speech is more appropriate for some purposes, whereas writing is more appropriate for others. No language can have an exact correlationship in terms of its speech and its writing. English is no exception to this principle. It is important to appreciate [and worth repeating] that writing is an arbitrary code and as such is learnt separately from speech. A competent literate person usually has little difficulty in reading, comprehension, or pronunciation. One important reason for the disparity between pronunciation and spelling is the fact that written language stays relatively fixed, whereas the spoken language is always developing rapidly. The spoken language is alive, and therefore grows and develops from moment to moment. Pronunciation styles alter and shift, as does the lexicon of the language. Terms and idioms are imported from various societies whose pronunciation differs greatly from our own.